Google has offered prizes, totalling $1 million, to those who successfully hack the Google Chrome browser at the Pwn2Own hacker contest taking place next week i.e 7 March 2012. Chrome is the only browser in the contest's six year history to not be exploited like at all. Therefore Google will hand out prizes of $60,000, $40,000, and $20,000 for contestants able to remotely commandeer a fully-patched browser running on Windows 7. 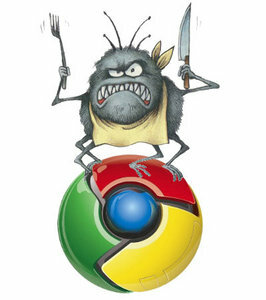 Finding a "Full Chrome Exploit," obtaining user account persistence using only bugs in the browser itself will net the $60k prize. Using webkits, flash, or a driver-based exploit can only earn the lesser amounts. Prizes will be awarded on a first-come-first-serve basis, until the entire $1 million has been claimed. “While we’re proud of Chrome’s leading track record in past competitions, the fact is that not receiving exploits means that it’s harder to learn and improve,” said Chris Evans and Justin Schuh, members of the Google Chrome security team. “To maximize our chances of receiving exploits this year, we’ve upped the ante. We will directly sponsor up to $1 million worth of rewards.” Pwn2Own isn’t the only time researchers can be paid for digging up security flaws in Chrome. Like other companies including Mozilla and Facebook, Google offers “bug bounties” to researchers, and its flaw-buying program has given out more than $300,000 in payments over the last two years.